Rent A Vette provides exotic car enthusiasts the best in luxury cars. You can rent cars like a Corvette, Porsche, or Mercedes. Call (888) 308-5995 or reserve online here. If you want to drive a car with a rich history for innovation, solid engineering, and powerful performance, the Mercedes E350 Convertible will both thrill you and leave you wanting more. 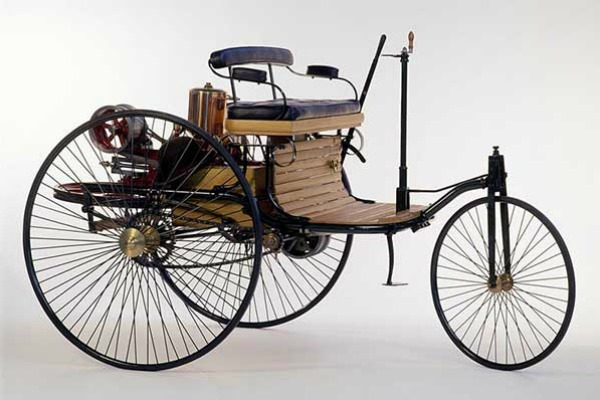 The Benz Patent-The Benz Patent-Motorwagen, the first petrol-powered car invented by Karl Benz. Mercedes-Benz is one of the most recognized automotive brands in the world. And we have Bertha Benz, a German automotive pioneer and the wife and business partner of automobile inventor Karl Benz, to thank for that. This intrepid woman took it upon herself to drive the Benz Patent-Motorwagen, the first petrol-powered car invented by her husband, over a long distance in 1888. The excursion garnered worldwide attention for the automobile converted from a stagecoach and made Bertha Benz the first person to go on a road trip. The Benz Patent-Motorwagen was first marketed in 1901 by Daimler-Motoren-Gesellschaft (Daimler Motors Corporation). Then, Emile Jelline, an Austrian automobile entrepreneur who worked at DMG created the Mercedes trademark in 1902, naming the 1901 Mercedes 35hp after his daughter. Following the merger of Karl Benz’s and Gottleib Daimler’s companies into the Daimler-Benz company, the first Mercedes-Benz brand name vehicles were produced in 1926. Since inventing the first car, Mercedes-Benz has set the pace with ongoing firsts in safety, performance, and driving. They’re not interested in building cars that are merely powerful or fast, but they engineer automobiles that combine the many facets of performance to create something extraordinary and continually push other automobile manufactures to keep up. First internal combustion engine automobile was developed independently by Benz and Daimler & Maybach in 1886. Daimler invented the honeycomb radiator that is still used on all water-cooled vehicles today. Bertha Benz put the first padding on brakes during her legendary road trip. Daimler invented the float carburetor that was used until it was replaced by fuel injection. 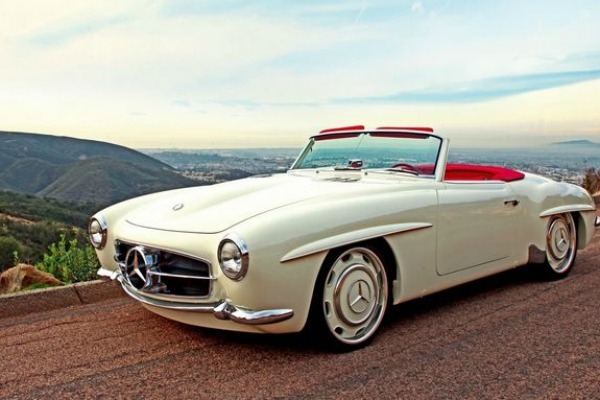 Mercedes-Benz produced the first passenger road car with all-wheel brakes. The first diesel powered passenger car was the Mercedes-Benz 260 D, produced in 1936. 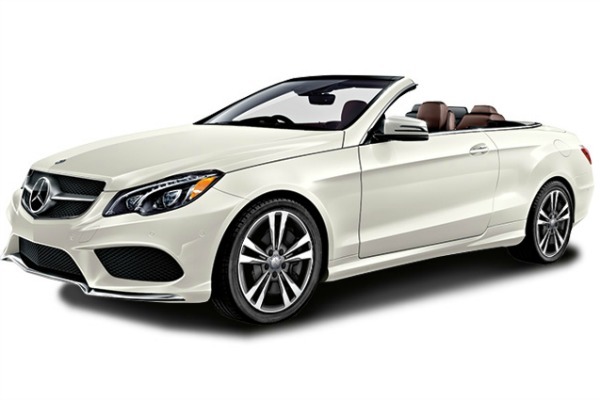 Enjoy our Mercedes Convertible Rental – call (888) 308-5995. Ask for Rick! With that spirit of adventure and commitment to excellence, who wouldn’t want to drive this car? Mercedes-Benz takes quality so seriously, they employ one inspector for every 11 workers and pays them to criticize, criticize, and criticize some more. By the time a Mercedes gets its final stamp of approval, it has undergone thousands of separate inspections. Even the seats were designed and shaped in consultation with leading orthopedic physicians. The contoured and plush seats envelop you in an automotive hug (that’s a thing). The Mercedes epitomizes the modern midsize luxury car with its elegant furnishings, exacting workmanship, and huge selection of engines and features. It’s the trifecta of refinement, performance, and cutting-cutting technology. If you’re looking for an adventure in a car known the world over for being a timelessly tasteful car, the Mercedes E350 Convertible is not to be missed. Get the best in friendly, personal, and accommodating customer service from Arizona’s oldest exotic car rental company – Rent A Vet. CALL (888) 308-5995 and ASK FOR RICK or PLACE A RESERVATION ONLINE.